IN JULY 2012 the treasury committee of Britain’s House of Commons summoned the boss of Barclays, Bob Diamond, to face the music. Barclays had been caught taking part in an industry-wide conspiracy to fix Libor, a benchmark interest rate, and the members of parliament wanted to know what was going on. Why had friendly high-street banks been transformed into financial casinos? And why did scandals keep piling upon scandals despite outrage from the public and promises to mend their ways from banking CEOs? Much of the answer, according to both Mr Diamond and his interrogators, lay in a phrase that was used more than 50 times during the hearing: "corporate culture". 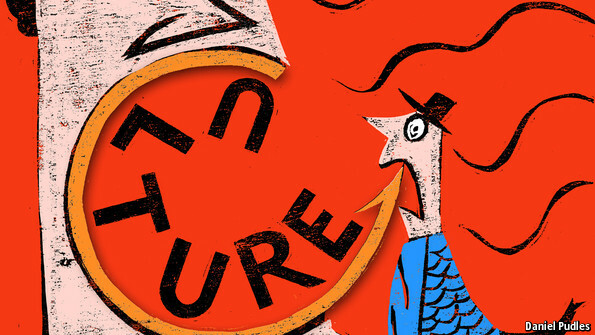 "Culture" is the mot du jour in the business world. Why do the wolves of Wall Street howl? Because Wall Street has a wolverine culture. Why do mergers fail? Because the cultures of the companies doing the merging often clash. Why do some companies succeed and others fail? Because they have either supportive or toxic cultures. This is not just pap for lazy journalists. Some of the most successful bosses are obsessed by "culture". Dave Barger, the CEO of JetBlue, a budget airline, argues that it is much harder for competitors to copy your culture than your strategy. Tony Hsieh, the founder of Zappos, an internet retailer, ascribes his company’s success to its idiosyncratic culture, which is lovingly described in a book, "Delivering Happiness". Netflix, an online-video business, regards its culture as so important that it has tried to distil it into a 126-page PowerPoint presentation. So far the document has been viewed more than 4m times. But what does "corporate culture" actually mean? For some people it means the image that a company projects to the world. For others it means a company’s most cherished habits—the HP Way or the Walmart Way. For others still it means its canteen culture, "the way we do things around here", which is often the opposite of the formal rules. Goldman Sachs’s formal culture proclaims that customers come first. Its canteen culture, at least according to one former banker at the firm, proclaims that customers are "Muppets". "CEOs can talk and blab all day about culture," Jack Welch once said, "but the employees know who the jerks are." And how do you manage "culture" successfully? Companies routinely produce mission statements that are supposed to express their cultural DNA, but in fact simply list feel-good words in different permutations. Companies equally routinely engage in "culture change" programmes. But these usually provoke fierce resistance from employees. Peter Drucker, a booster of corporate culture, liked to say that "culture eats strategy for breakfast"; it is equally true to say that canteen culture eats corner-office culture for breakfast. John Childress, a management consultant, has written a sensible if somewhat flat-footed guide to the subject. Mr Childress could have done with a better editor: "Leverage" would have had more leverage if it had lost 100 pages and a dozen overused examples. His folksy prose-style ("just what the heck is corporate culture?") is grating. Still, he knows his subject well, and writes about it with enthusiasm. He produces some nice examples of culture-driven disasters: Carly Fiorina failed as CEO of Hewlett-Packard because she tried to impose a sales-driven culture on an engineering-dominated organisation. He notes that it is pointless to focus on producing the right culture if you do not back it up with robust business capabilities: Zappos can turn around an order in eight minutes thanks to heavy investment in technology. He also points out that the most common mistake bosses make when they try to change cultures is to think in grandiose terms, whereas it is often the little things that matter most. "Sensible" might not sound like particularly high praise but, for a business book in this charlatan-infested field, it is an accolade worth having.